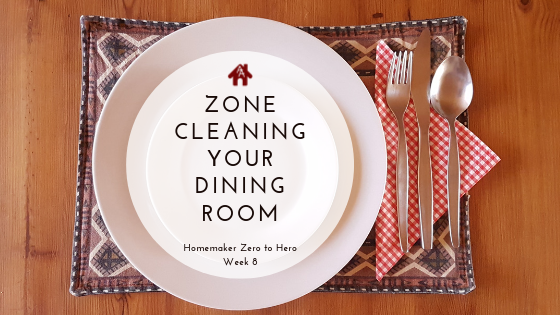 This week we are going to create all the index cards for cleaning the dining room. 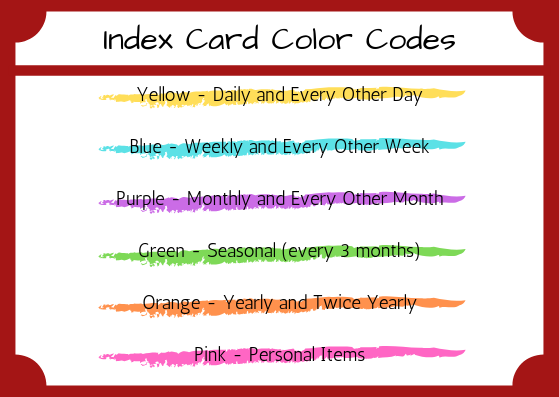 If you don’t know what the index card home cleaning system is, then you can take a look at my YouTube Video on Index Card Cleaning System. Since every home is different, and since we are heading into an era were homes are smaller, you might not have a dining room in your house. If that is the case then you may want to include the dining room cards with the living room, kitchen or whichever room you eat your family meals in. My dining room doubles as an office. Now here is the long list of cards to create this week, all for cleaning the dining room. The frequency of cards is just a recommendation. Adjust according to your household.